Sometimes when you write for The Farsighted you end up volunteering to review sequels without seeing the movie that started off the franchise first. That could be a mixed bag to me because it could be a continuation of the film series or an unrelated movie slapped with a part 2 or 3 by someone looking to cash in on the franchise. The film Elves in both in a way. 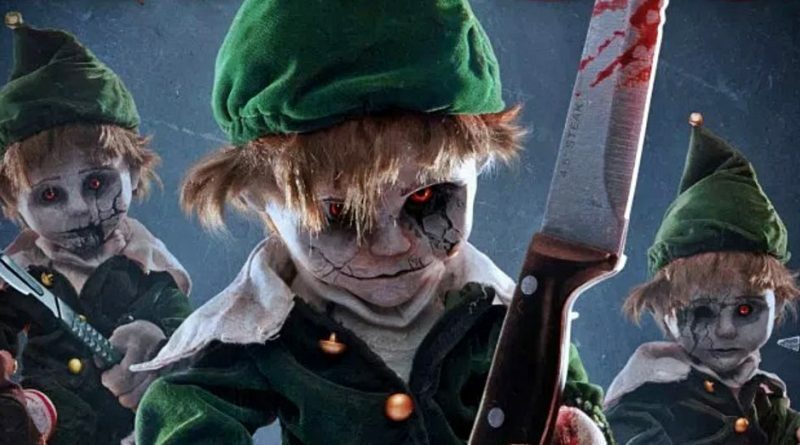 It’s a sequel to the 2017 holiday horror film The Elf but it also stands alone as it’s own movie. The film starts with a group of young people having a small party and they play a Christmas themed game called “The Naughty List” where they write their own dark and dirty secrets. Soon they found out that the game is very real when toy elves appear out of nowhere and kill the kids if they don’t obey the elves’ commands (or something to this effect) then add to the mix a what seems to be supernatural killer called The Christmas Reaper who goes after the kids who haven’t been killed by the elves and you have the basic plot down. The special effects use both CGI and practical methods and work out well considering the low budget this film must of had (it has a shot on digital look to it but that is just me nitpicking). As far as a holiday themed horror film it has an interesting concept that was fairly well executed with flaws, but I don’t hold them against the film too much. It’s a modest little slasher film that will entertain you without being ironic or “meta” and that is a welcomed change of pace to me.